Consistency, Humour, Well planned Lessons and Plenty of Challenge. The following is based on real events, the names have been changed to protect the innocent. I’ve been thinking about this a lot this week. Russell is a bright lad, and for the past three or four half terms he has been a complete superstar, but if I go back to sept, he was quite a challenge to have in lessons. I’ve been trying to work our how I turned it around, in order to help my colleague have similar success. I thought about what may have caused this. I set out my expectations and standards with the class and every time these were overlooked sanctions were enforced. It was a consistent approach. 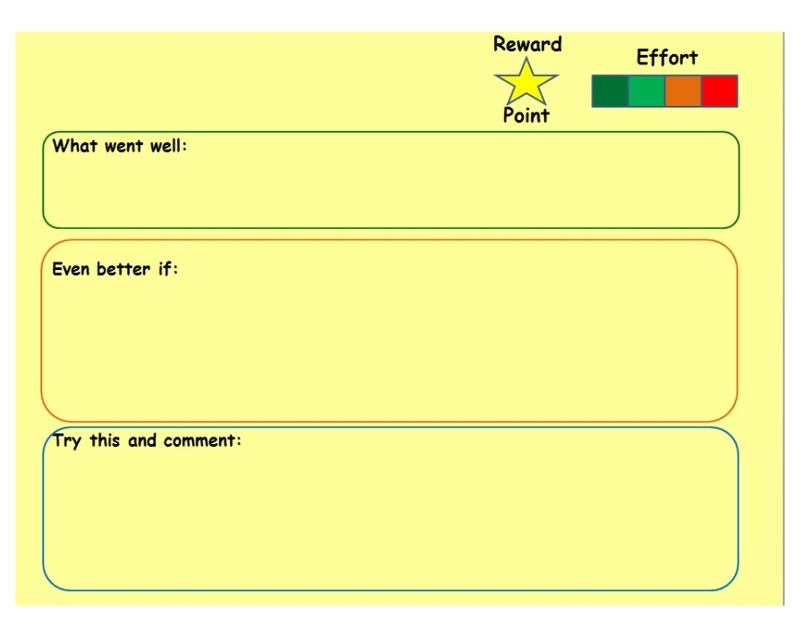 I also used a lot of praise with the class as a whole and they are all now working really well. With Russell though, and a number of the others in the class, I think that banter has played a good part. They are a class I can have a joke and a laugh with, they know they can have a joke and a laugh with me, but they also know what I expect from them and what they need to do in my lessons. The climate in the classroom during this class’s lessons tends to be fairly relaxed, but full of pupils who are working hard on quite challenging maths. They enjoy the challenge and are now quite motivated. Consistency, humour, well planned lessons and plenty of challenge, those are the key elements I put into that class. These ingredients mixed with a superb set of pupils make their lessons the highlight of each day. These were the four things I suggested to my colleague to help him win Russell round. I also think that, in general, these four things will help with any class. That’s not to say I think this is the magic formula to make every lesson go amazingly well, but I think it is a good starting point. Yesterday two colleagues and I attended a training course at another school quite a distance away. The course itself wasn’t particularly good or useful, but it did leave us with a few ideas to ponder and try as well as a few recommendations of books to read on educational research. So we did. We were all free before lunch so we selected a number of maths puzzles we would normally use as lesson starters, placed them on all the tables in the canteen, took up a spot on the balcony and watched. The results were quote astonishing. Firstly the year 8’s arrived. Many of them picked them up and started working on them, big groups congregated and started discussing them, coming up with strategies to work them out. A couple pit some in their bags for later. The groups weren’t just the ones you would expect either! The next groups to arrive were years 9 and 10, they also were intrigued and started looking at them, less of these year groups actually took out pens to have a crack, but some did and plenty still had conversations about them. One group of boys from my year ten class, who can be quite challenging, had a long chat about one and asked me later about it. The last year group to arrive were year 11, most of them headed straight outside to enjoy the sunshine but the ones who stayed did look at them and attempt them. We were delighted by the way the experiment went. Hundreds of pupils were either doing, or talking about maths! What a result! We intend to try this again from time to time next year. Last night I attended Teachmeet South Bradford at Appleton Academy and saw some superb presentations. There was one given by Andy Sammons (@amsammons) in which he was discussing independent work. He mentioned that he gives his pupils ten “sammonspounds” per group at the start of a lesson and tells them they can buy ten minutes of his time with it, but that’s all they get. This gives the groups drive to be more independent and to save their time until they are really stuck and have devised good quality questions to ask him. You can read more about the topics Andy spoke about on his blog here) This is a great strategy and got me thinking about the ways I have tried to do group work . It reminded me of one method in particular that I have used a number of times to great success and I wanted to share it with you here. The first time I used it was with a Y11 class in my NQT year, they all had C’s already in maths and were not very motivated to get B’s. I had taught a topic on Pythagoras and trigonometry and I wanted to do a consolidation/revision lesson on it. I set the room up for grouped tables and assigned them groups on their way into the room. I selected groups so that each of the groups were evenly matched and assigned team captains, envoys, timekeepers and finance managers. It was the captains job to take a deciding vote on any decisions, the envoy was in charge of discussing with other groups, the timekeepers were in charge of ensuring they were not running out of time and the finance manager was in charge of the “money” (in this case counters!). I gave each team a float of 20 counters. The task itself was an exam paper question based relay, there were some really easy questions, and for each one of those the teams completed they gained 5 counters, they went up in difficulty and there was 10 counter questions, 15 counter questions and 20 counter questions. The teams were told that they could buy my help for 8 counters, or they could buy help from other teams at an agreed fee, but I gave a suggested value of 4 counters. At the end of the lesson the teams cashed up and the winning team received a prize. This worked well with that first class, they were all shrewd with the questions and only purchased help if they really needed it, it helped with independent thinking. I have now used the set up many times (not always with the same activity) and it does work. It engages them and makes them think for themselves more. And on top of that it is fun for tem and me and some teams get really competitive! This time last year I was expecting the birth of my daughter. It was her due date, although she didn’t arrive for a fortnight. Towards the end of the day I had taught my top set year 7 class about Pythagoras and wrote this blog before heading to a team meeting. I set up the WordPress as I was really enjoying reading other teachers blogs and gaining a lot of ideas from them. I hoped that by writing my own I would be able to pass on my ideas to help others. That first post was a short one, and I didn’t write my second until December! I didn’t know how the blog would evolve or what I would post about. One year on my posts can mostly be defined into four categories. 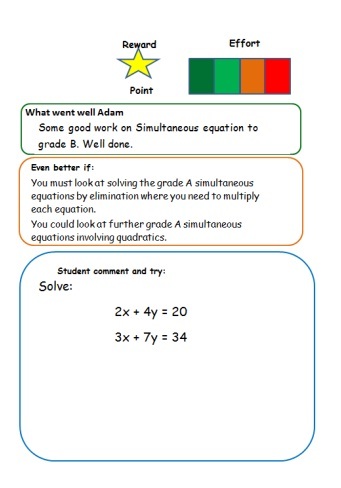 These are posts about the teaching of maths, including reflections of lessons and ideas on feedback, marking, vocabulary and other such things involved in teaching the greatest subject there is. There is some cross over here, but the resources section holds links and reflections on resources I have developed and/or used in lessons. These are posts looking at the education policy in the UK and often include my ideas of how I would like to see it improved. These are post which involve my reflection on the wider life involved in schools, they include posts on school productions and other such things. Including this post that I wrote after seeing one of the most amazing productions I have ever witnessed. I have enjoyed blogging this year, and hope to write many more as I continue to develop my own classroom practice. And for those who were wondering, the Year 7’s did manage to work it out. “Constructing Triangles” is not one of my favourite topics to teach. There is the niggling fear that one of the boys may stab another (this has never happened while I’ve been teaching, but I remember it happening on more than one occasion way back in the 90’s during my own schooling!) and there is the fact that pupils seem to think that using mathematical instruments is licence to chatter more. Neither of these, however, is the reason I dislike it. I enjoy teaching some construction, I like having lessons on using compasses, giving pupils licence to create patterns with them. I like getting the class to draw scale drawings involving construction. I like teaching Loci and other applications of it. It’s specifically the triangles. I understand the technical skills involved are important for many jobs, such as architecture and others in the design and building industries, but the explicit construction of triangles isn’t. Pupils need to be able to draw and measure angles using a protractor, pupils need to be able to use a pair of compasses correctly and pupils need to be able to draw and measure straight lines accurately, but never, past their GCSEs will they be asked to construct a specific triangle. I taught this yesterday to Y8 and I taught it in a similar fashion to the way I had done before, we practiced drawing angles, I gave them an ASA triangle and asked them to have a go. The more able worked it out and so I had them talk me through how to do it on the board for the rest of the class to do it then we worked a few out. I then repeated this for SAS and SSS. The class already had the technical skills needed (i.e. to use a ruler, a protractor and a pair of compasses) and so it was about how to apply these to a triangle construction. I don’t think the lesson went brilliantly well, to be honest. By the end of it all pupils could construct all types of triangles and most of the class managed to figure out the challenge of “construct and angle of 60o” when I took away the protractors, so they all made the progress I wanted, but the lesson was a little messier than I would have liked. I think that next time I will try to incorporate these constructions into a wider skills lesson. I find that for boys, getting them to construct a scale football pitch can be a good hook for constructions, so I need something similar that will work to hook the wider demographic. Any ideas/resources would be very much welcomed!